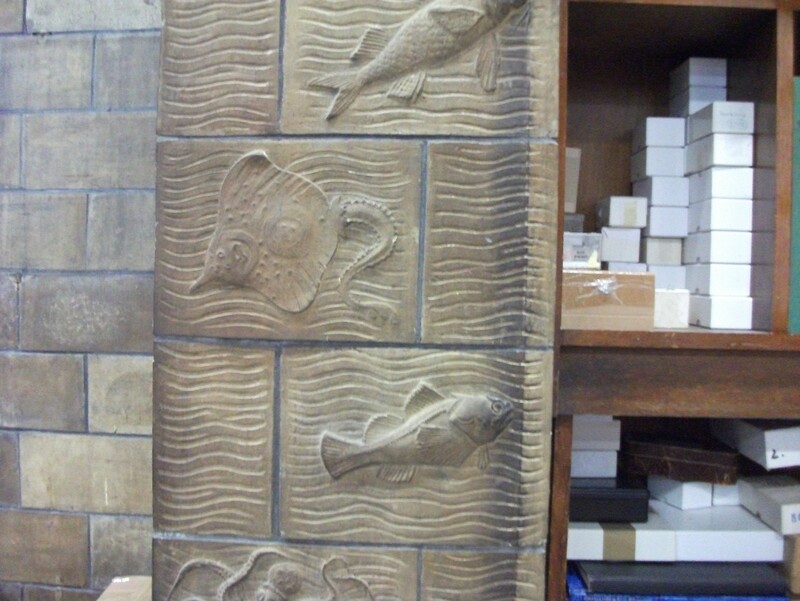 Nostalgia time, my first biological memory, aged 3.
areas, where the research, identification and curating takes place. 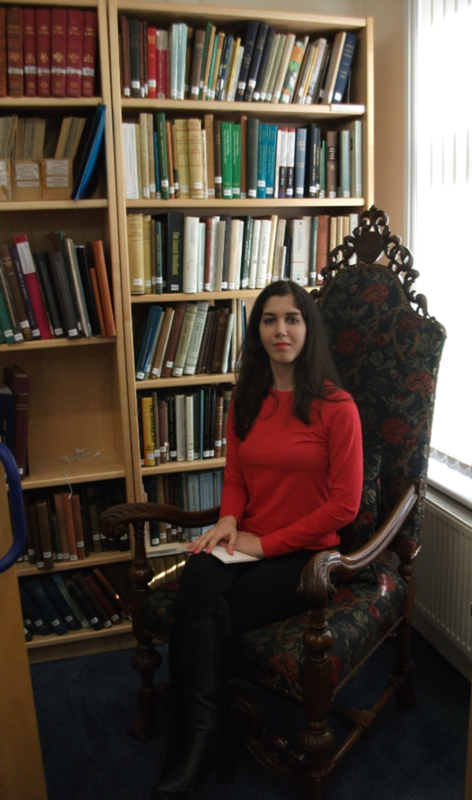 Our first port of call was the Diptera where Erica regaled us with lurid tales of flies, big and small, beneficial and pestiferous. 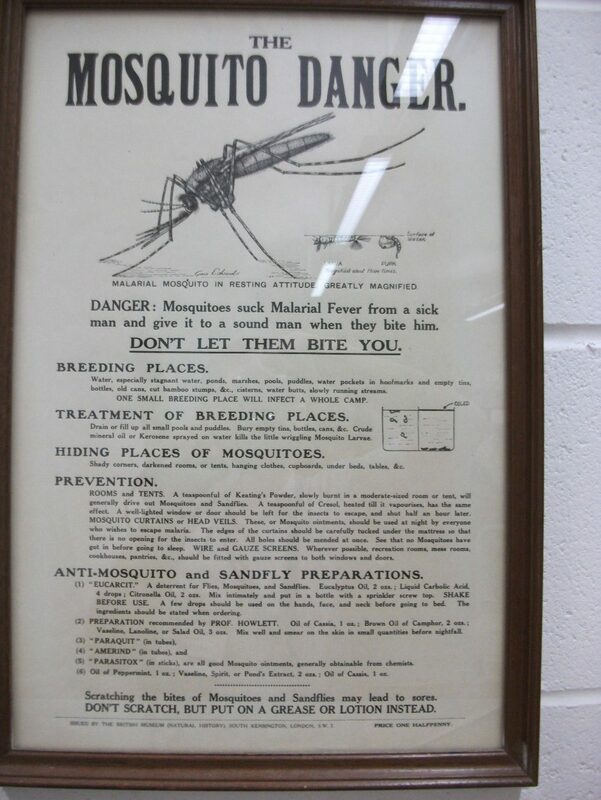 As we left to move on to the Hymenopteran, hosted by David Notton, I noticed this classic poster warning against mosquitoes. 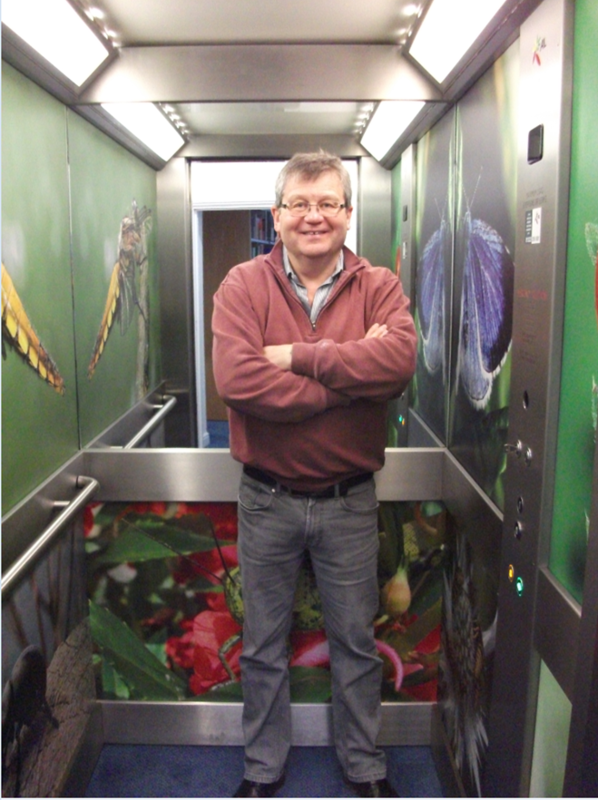 David chose bees as the main focus of his part of the tour, which as four of the students will be doing bee-based research projects was very apt. 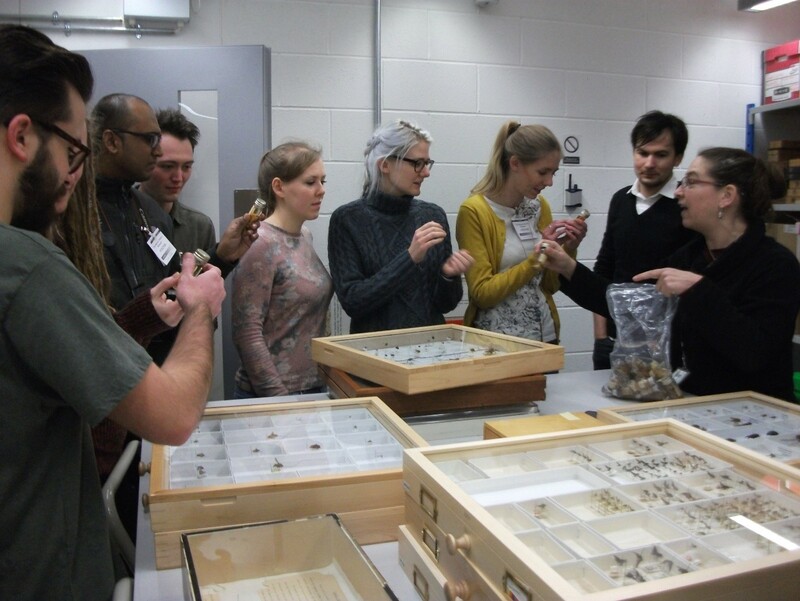 Whilst the students were engrossed with the bees I did a bit of fossicking and was amused to find that tobacco boxes were obviously a preferred choice by Scandinavian Hymenopterists in which to send their specimens to the museum. As we were leaving to move on to the Lepidoptera section, I felt obliged to point out to the students that not only is the outside of the museum stunningly beautiful but that the interior is also a work of art in itself, something that a lot of visitors tend to overlook. 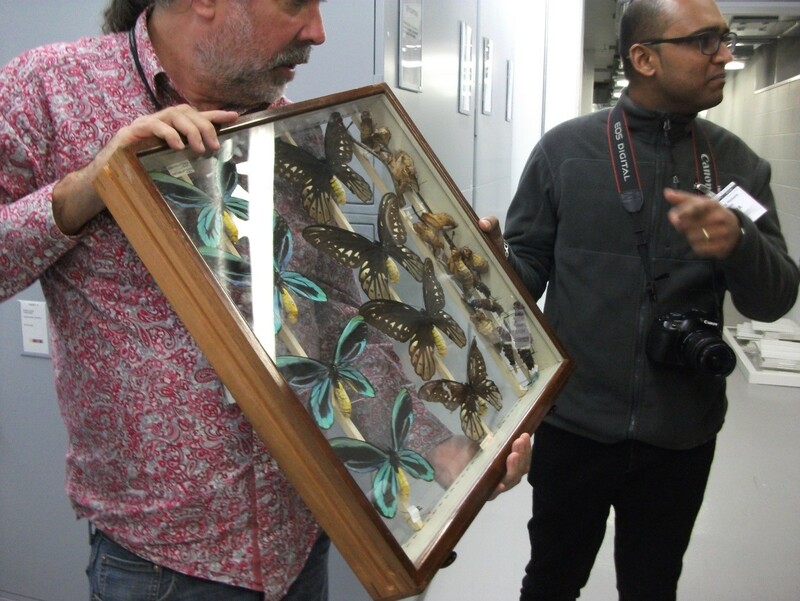 Once in the Lepidoptera section Geoff Martin proudly displayed his magnificent collection of Lepidoptera, gaudy and otherwise, including the type specimen of the Queen Alexandra’s Birdwing which was captured with the aid of a shotgun! 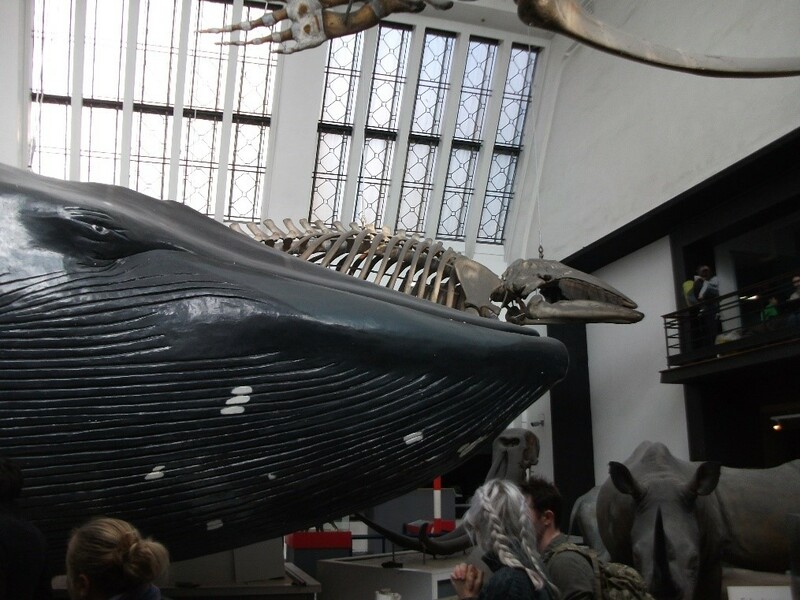 Lunch and a chance to enjoy the galleries was next on the agenda. Unfortunately, as it was half term this was easier said than done, although I did find a sunny spot to eat my packed lunch, as a Yorkshireman I always find the prices charged for refreshments by museums somewhat a painful. In an almost deserted gallery I came across this rather nice picture. A lovely piece of historical entomological art. Then it was on to the Spirit Collection. Erica had laid on a special treat, Oliver Crimmen, fish man extraordinaire. I may be an entomologist but I can sympathise with this branch of vertebrate zoology. Fish, like insects are undeservedly ranked below the furries, despite being the most speciose vertebrate group. I have been in the Spirit Room many times but have never seen inside the giant metal tanks. Some of these, as Ollie demonstrated with a refreshing disregard for health and safety, are filled with giant fish floating in 70% alcohol. Fish man, Oliver Crimmen, literally getting to grips with his subjects. 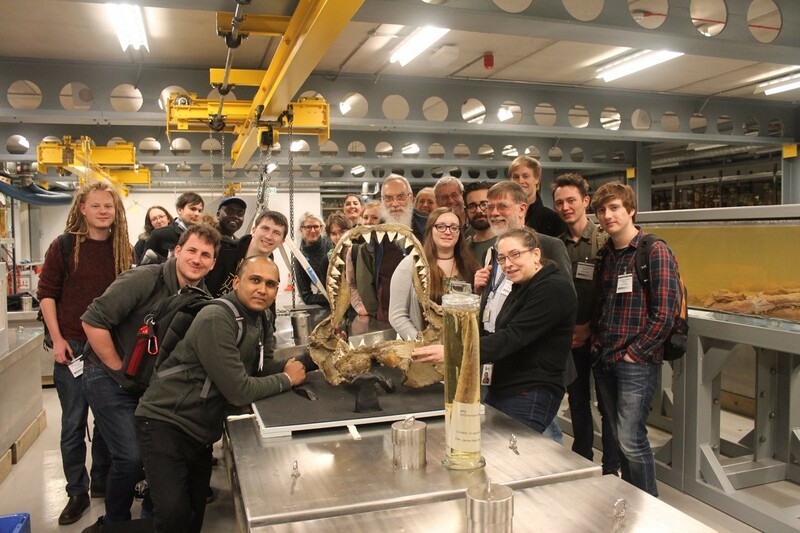 Many thanks to Erica McAlister for hosting and organising our visit and to the NHM staff who passionately attempted to convert the students to their respective ‘pets’. *one day I will write about it. 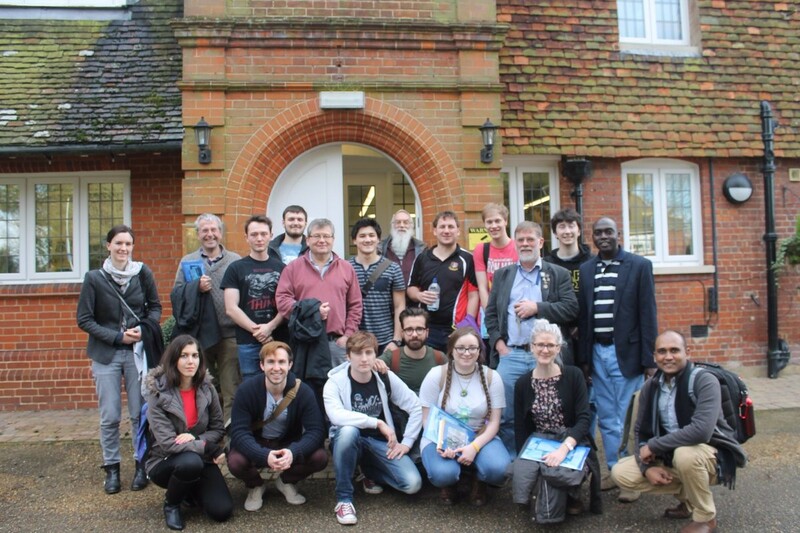 Yesterday I accompanied the Harper Adams University MSc Entomology and Integrated Pest Management students on their annual visit to the Headquarters of the Royal Entomological Society (RES), The Mansion House, located on the outskirts of the historic city of St Albans. Last year we had a truly epic journey; accidents on the overcrowded UK motorway system on the way there and back, meant that we spent eight hours on the coach 😦 This year, in trying to avoid a similar fate, I cruelly forced the students and staff to be on the coach by 0645. Unfortunately, despite the early start, a diesel spill closed the M6 at a crucial moment causing huge queues and long detours. As a result we arrived at our destination a frustratingly hour and a half late. Entomologists are however, made of stern stuff and the coffee and delicious biscuits awaiting our arrival soon restored our spirits. 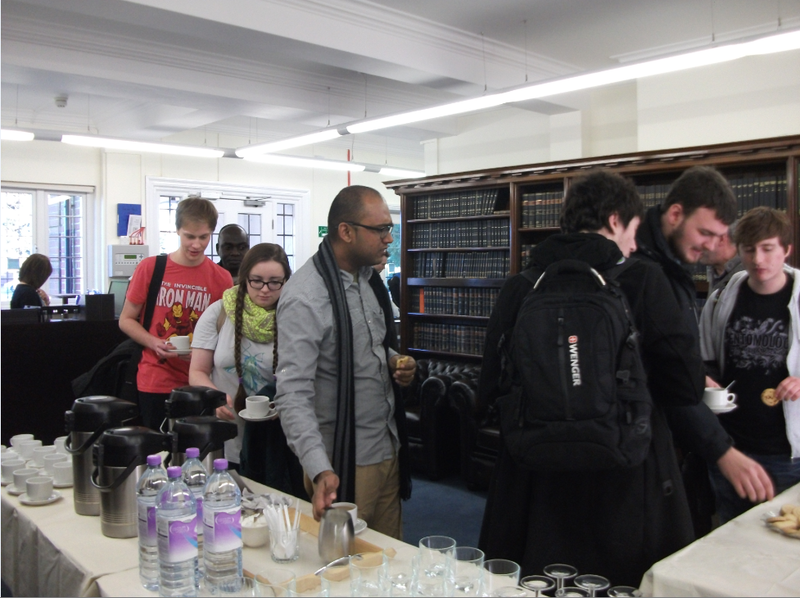 After coffee the RES Director of Science, Professor Jim Hardie, welcomed the students and talked about the history of the society and the benefits of joining as student members. 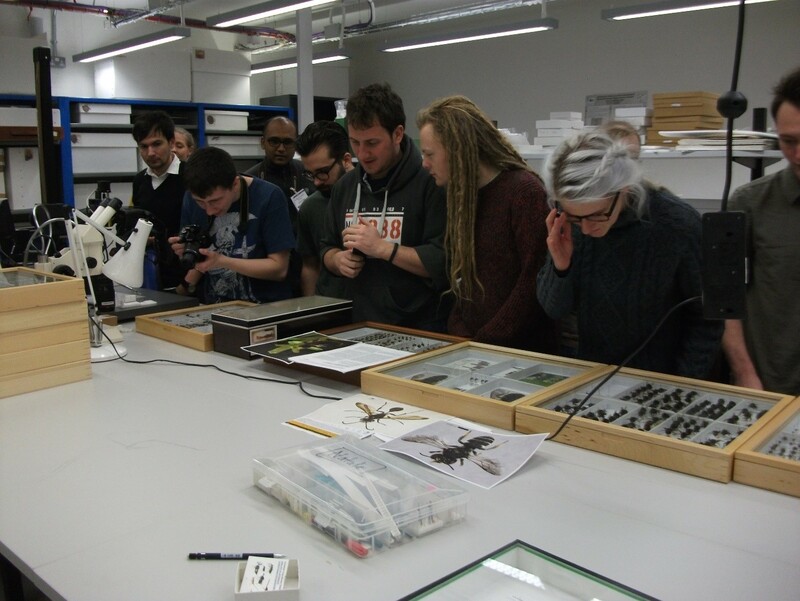 This was followed by a brief talk by one of the Outreach Team, Francisca Sconce, herself a former entomology Master’s student, about the many ways in which the RES brings the study and appreciation of insects to a wider audience. 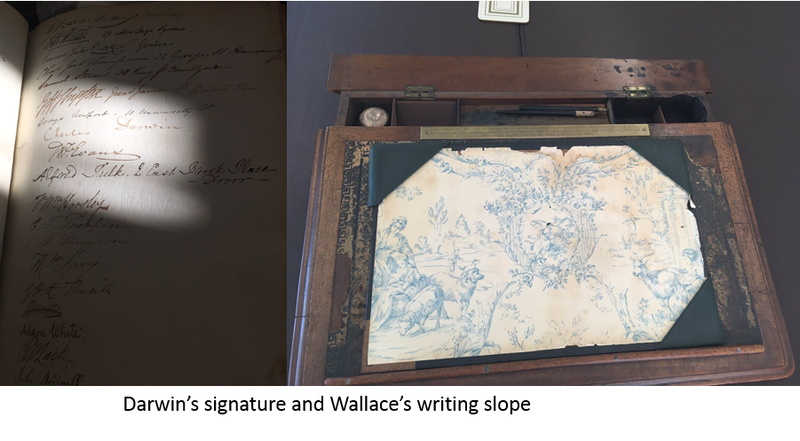 The students were then treated to lunch and given the opportunity to explore the building and its facilities and to look at some of the treasures that the RES safeguards for posterity. I am no stranger to The Mansion House; I have taken several cohorts of the entomology MSc students to the Royal Entomological Society since the society moved its headquarters to St Albans in 2007, and also visit the building a couple of times a year when attending committee meetings. 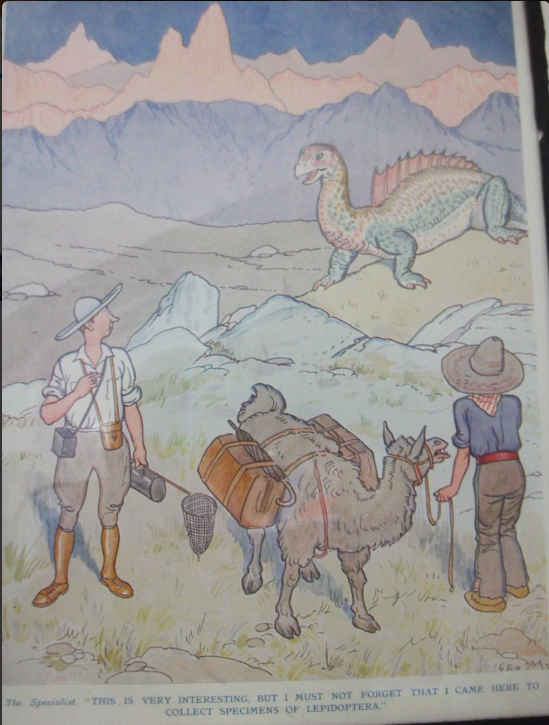 Despite my long association with the RES (40 years) I still however, find things I have never seen before, such as the print below, that gently pokes fun at the single-mindedness of the entomological specialist. 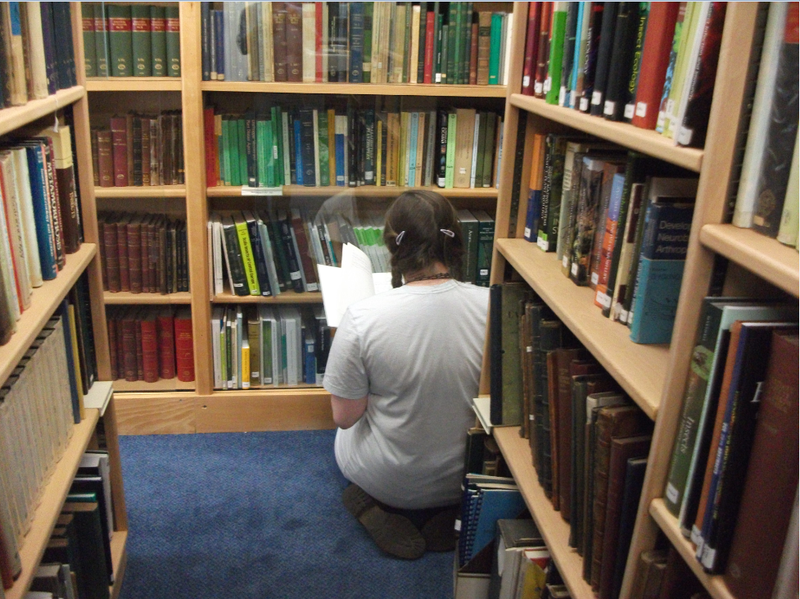 I also never cease to be amazed and humbled by the history that surrounds one as you meander your way around the various library rooms.